In conjunction with Be Not Still: Living in Uncertain Times, artist Ala Ebtekar joins di Rosa Curator Amy Owen in conversation to discuss how his practice is shaped by his relationship to multiple cultures, identities, and geographies, and the inspiration for his work in Be Not Still, including why the topic of citizenship is so prescient to his ongoing practice. Following the talk, guests are invited to experience a landscape of sound with Ebtekar and Iranian composer and pianist Nima Hafezieh. Hafezieh will be producing an original composition inspired by Ebtekar’s celestial installation on view in Be Not Still. About the Artists: Ala Ebtekar is a Bay Area-based artist who was born in Berkeley to Iranian parents. His practice straddles installation, painting, text, time-based media, public events, and long-term pedagogical initiatives. 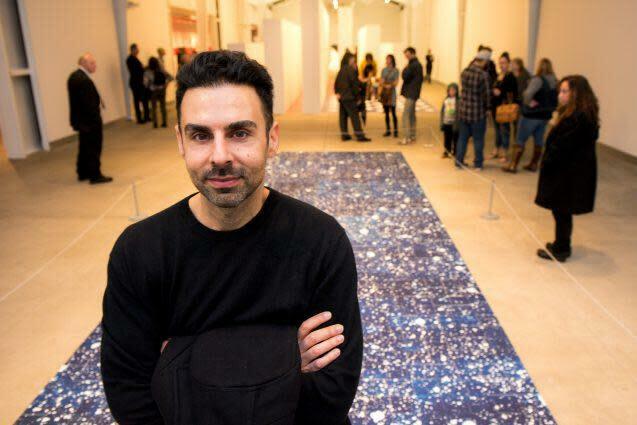 He is the founder and director of “Art, Social Space, and Public Discourse,” a three-year Stanford global initiative on art that investigates the multiple contexts that shift and define changing ideas of public space. 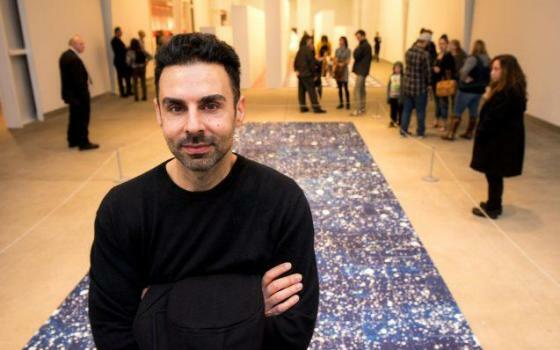 Ebtekar’s installation for Be Not Still takes the topic of citizenship as its locus; the artist transferred a GOODS/ERS2 field image from the Hubble Space Telescope, the first ultra-deep wide field image of the universe, onto an arrangement of large ceramic tiles. With no visible distinctions between stars, planets, space, or time, the work explores what it means to be a territory without borders. Nima Hafezieh is an Iranian composer and pianist. He has worked as a composer since September 2009 and also as a music instructor from April 2012. He also works as a music transcriber and editor, and a music education advisor in support of the blind musicians and students and has cooperated with Association of Blind Students and Graduates in Iran since 2013. A well-educated musician, Nima’s most important talent is in piano improvisation in classical and contemporary music.